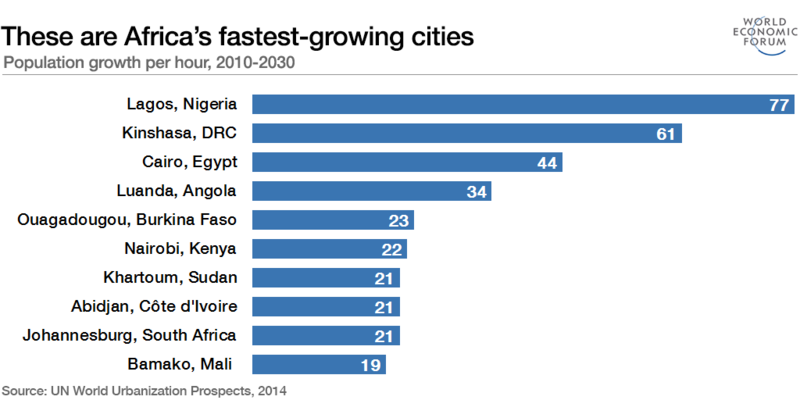 It’s already Nigeria’s largest city, but it’s still growing – and fast. The population of Lagos is predicted to increase by an astonishing 77 people every hour between 2010 and 2030 , according to United Nations data, making it the fastest-growing city in Africa. Strong economic growth, led by an oil boom, has driven the rural poor towards the city, and the population surge is also being driven by high birth rates and the return of Nigerians living abroad. Following in second place is Kinshasa in the Democratic Republic of Congo, while Cairo completes the top three. The figures are calculated using actual population figures for 2010 and forecasts for the likely populations in 2030, taken from 2014’s UN World Urbanization Prospects report. Can the infrastructure keep up? Seventy-seven people an hour. That’s 1,848 people a day, or 12,946 a week, or 56,179 a month – roughly the equivalent of the entire population of Greenland moving to Lagos every month. The big question is whether Africa’s urban infrastructure can keep up. Lagos already suffers from electricity supply problems and its road system is nearly paralysed. However, $50 billion worth of new infrastructure is due to transform the city. A rapid-transport system, new power plants and Africa’s first suspension bridge are planned to make life easier for Lagos residents. This is a pattern repeated across Africa, as expanding populations put a strain on urban resources. However, African cities are acting to build resilience and reduce the risks associated with expanding populations. In an article for the World Economic Forum, Robert Muggah of the Igarapé Institute and David Kilcullen of Caerus Global Solutions look at the situation in cities across the continent . 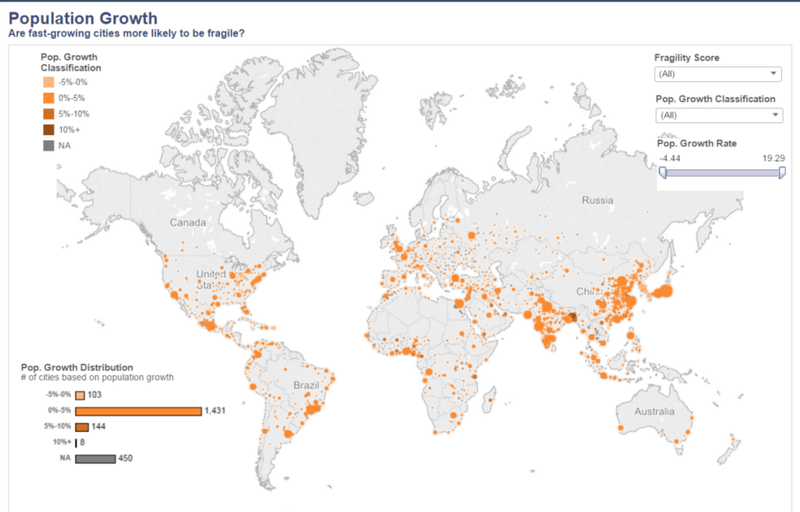 They argue that African cities are at a tipping point. If leaders react to the rapid urbanization, “innovation, employment and economic growth will follow”. For them, Africa’s whole future is a tale of two cities: those that react, and those that don’t.